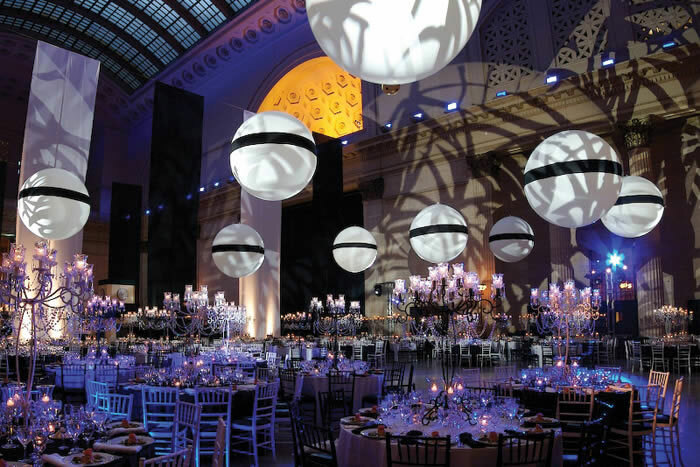 The great hall at Chicago Union Station is the ideal location for elegant special events, receptions, and weddings. The hall is considered one of the greatest indoor spaces in the U.S. The 20,000-square-foot Beaux-Arts-style room boasts 18 Corinthian columns, terra-cotta walls, and a pink Tennessee marble floor, and is crowned with a five-story, barrel-vaulted atrium ceiling. Opening onto the hall is the Union Gallery, a 3,500-square-foot room ideal for V.I.P. receptions, lounges, ceremonies, and meetings. The great hall is a truly unique Chicago venue. 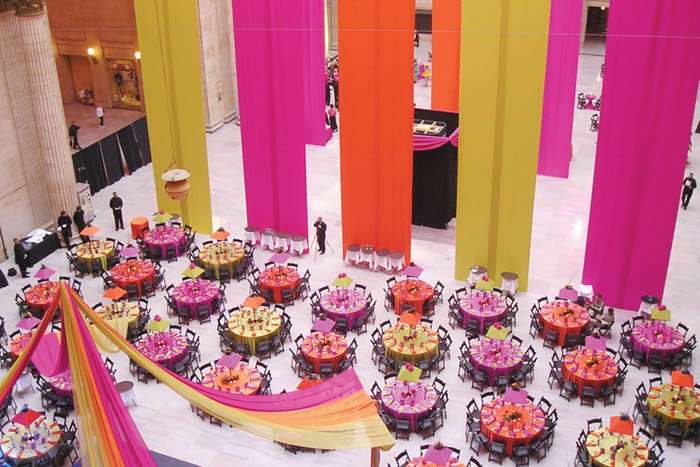 With a 115-foot ceiling, dramatically subtle architecture, and unobstructed space, the possibilities for creative versatility in event design are virtually unlimited. The rich history and beauty of the great hall have made it a popular location for feature films including The Untouchables, My Best Friend’s Wedding, and Flags of Our Fathers.